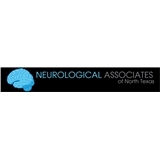 Neurological Associates of North Texas (Dallas) - Book Appointment Online! Her treatment of her patients is very "down to earth". She made me feel comfortable and like she knows how to talk to people no matter where they came from. I didn't feel judged with her because I'm very low income on total Social Security disability. I was really surprised to see how she is not above talking to the secretary at the front, and she sat down and started working on the computer like she was secretary too.